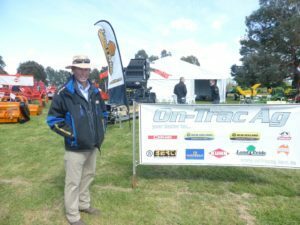 At On-Trac Ag we are focused on providing farming machinery, light construction equipment, spare parts and mechanical services with the highest levels of customer satisfaction. We will do everything we can to meet your needs whether it be servicing your tractor, sprayer or excavator. With branches in Bathurst, Mudgee and Orange we are sure you’ll be happy working with us. At On-Trac Ag, we can help you with new or used tractors for sale or construction equipment for sale. Ask us about other agricultural equipment available as well. 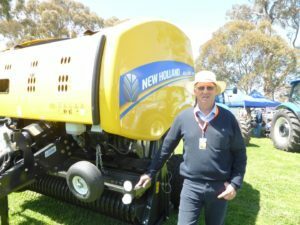 With industry knowledge, mechanical repair expertise and a huge selection of top of the range New Holland tractors and New Holland light construction equipment, we are committed to giving the customer all they need for their plant and equipment. We are part of your community giving a helping hand to Camp Quality and now Little Wings Central West Charity Tractor Trek and the Cudal Campdrafting association. We also like to keep our customers up to date with the latest events happening in the region, with the needs of the Central West our main focus. Locally owned and operated since 2005, we are more than just a tractor retailer, offering finance on new machinery to make sure you have the right gear for your job and for the best possible price. For all your tractor and agriculture needs or light construction equipment contact us on 6362 5566 or visit us in Orange at 20 McNeilly Avenue, Bathurst at 78 Corporation Avenue, or Mudgee at 215 Market Street.